Weekdays were always busy for many families. Dinner during weekdays was best to settle as simple and fast as possible. Having said that, we would not want to compromise our intake of nutrients as well as our health just to ease our cooking. Neither did we want to fuss over dining out every night. I had this quick, simple-making and delicious soup recipe here. It took just 25 minutes to prepare and cook! Ingredients were easy to prepare, and its simple cooking steps were tailored simply for the busy weeknights. 1) Pour water into a pot and bring to a boil over medium-high heat. Empty a can of corn kernels together with it’s liquid, and bring to a boil again. 2) Add garlic salt, white pepper and chicken stock, stir well. Then, gradually stir in plain flour slurry. Stream in beaten egg, in stages. Do not stir too vigorously, pour in some egg mixture, let it set in soup for 2-3 seconds before stirring it upwards in circular motions. Heat off. Garnish and serve hot. 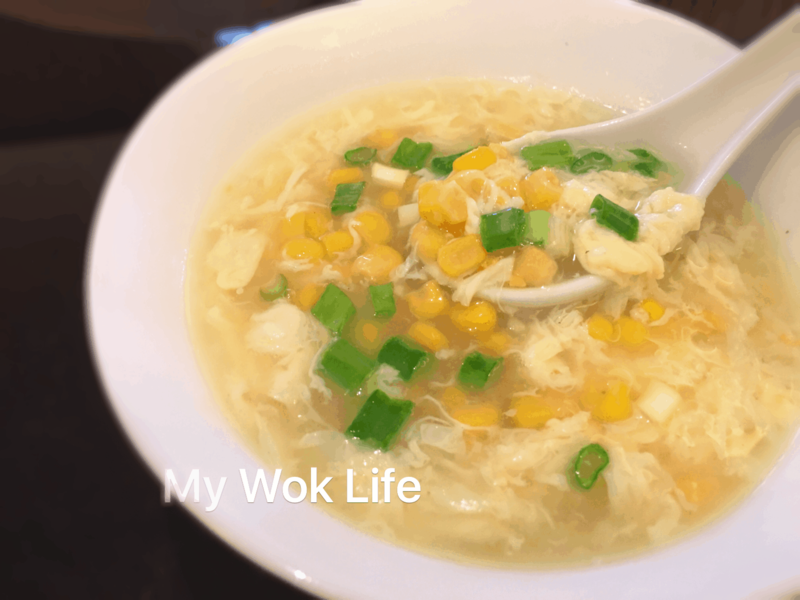 A bowl of my corn & egg drop soup counts about 100kcal. Tips: For vegetarian, replace garlic salt with regular or sea salt. *Get canned corn kernel or those ready cooked corn kernel sold in packets, but not the creamy type. If using fresh corn kernel without liquid, simply add 100ml more of water to substitute the corn liquid. * In fact, most egg drop soups calls for chicken broth. By all mean, use chicken broth instead of water (of the same amount) to cook this. Omit the addition of concentrate chicken stock in this case. 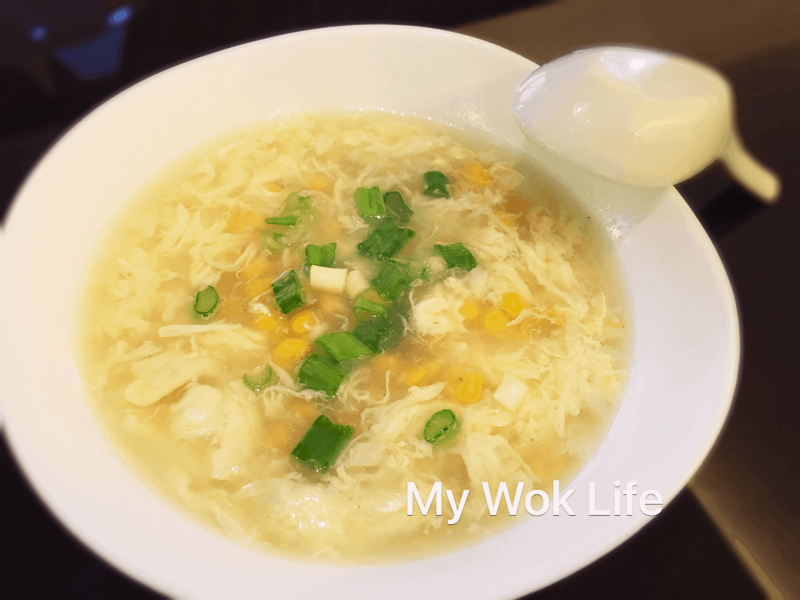 Hi, i kinda like this kinda egg soup. BUt i used to see my granny omitting the starch. As in it’s those watery clear soup type. Will it be the same if i were to follow ur methods but ommit the starch? Yes, it will be almost same taste with different soup texture and mouthfeel. I personally do find it less flavourful without the addition of corn starch though, but choice is yours. abt this soup.. does the spring onion add on any flavor to the soup? can i omit it?